For a two year period, Dylan Thomas was a frequent visitor to Cornwall and little is known of what filled the emerging young poet’s time, other than, in July 1937, he brought the woman he loved to Penzance, where they married. But in 2015 this changed when theatre maker, Jak Stringer, unearthed an unpublished biography. 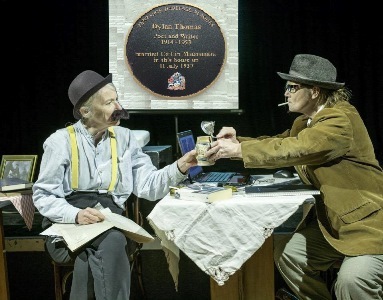 Inspired by these memoirs and local news stories from that time, Jak and Linda Camidge created a show, which is a fascinating insight into the early years of the now world famous poet and a taste of life in pre-World War 2 Cornwall. Dylan Thomas in Cornwall combines contemporary live performance, original music and film.